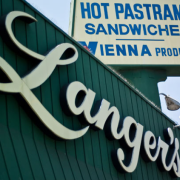 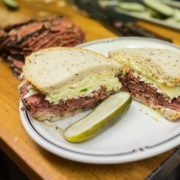 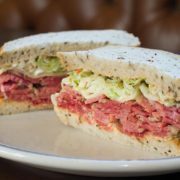 An easy choice for the most popular pastrami sandwich at this historic deli in Westlake, just west of Downtown. 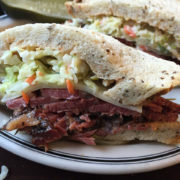 This near-perfect Jewish deli sandwich features house-baked rye bread, russian dressing, cheese, coleslaw and freshly sliced slivers of the most achingly perfect, smoked pastrami on earth. 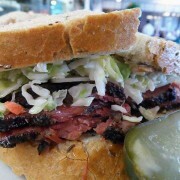 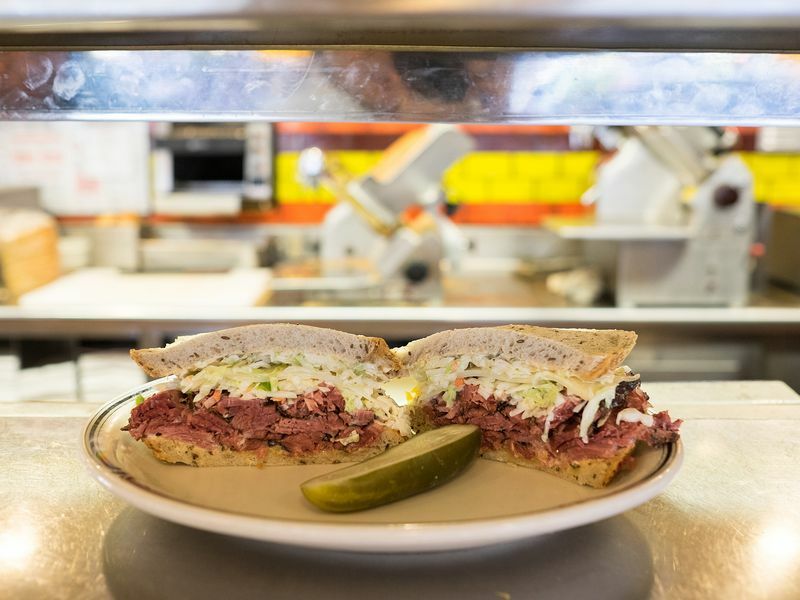 There is simply no equal when it comes to this pastrami.